This is the first time we ever celebrated our Wedding Anniversary (4th!) and it serves as an educational field trip for my toddler. We went to Residence Inn Zoo and Paradizoo theme farm where we practically enjoyed nature and leisure time, the best family trip package I've got this year. All-Day Regular Pass to Residence Inn Zoo & Paradizoo Theme Park (worth P249) and Zipline Ride at Residence Inn Zoo (worth P150), total value P399/pax. I called their Makati Head Office (898-3695) and their Marketing Officer~ Justine informed me about the promo package that gave me a huge savings for 35% OFF the original price. Justine was kind enough to make a meeting arrangement, he dropped by at our office in Parañaque (he lives nearby) after office hours and gave the tickets along with original receipt and some discounted offer from other zoomanity events. Residence Inn Zoo and Paradizoo are just a stone throw away from each other and can be easily visited within a day trip. Its an exciting Family Adventure you wouldn't miss! We left home at around 8am going to Residence Inn first. We enjoyed the main attractions such as the Bird Thrill, Serpentarium, 3d Movie Theatre*, Horse Back Riding*, Magic and Animal Shows* (* only on Weekends and Holidays). Bird feeds are sold for P10/pack. Husband have fear of heights so I enjoyed the Zipline and Cable Car along with my sister and cousins. The cable car will brought you back from the ride's starting point. I took those rides two times for i have to use my husband's ride pass. Have your photo printed from Photozip booth for P100 (4r size) or choose to have copies of all the shots in CD w/ 4r pic for P250 (good for 2pax). We paid P400 (4 pax) to get all those nice shots that captured all our facial reaction delightfully savoring the thrill and excitement (worth it? yes!). We leave before lunch time and witnessed the breath taking view of Taal Volcano when we dine-in at Near the Sky Bulalohan nearby. Local Bulalo costs P350, rice platter for P150, and we ordered Calamares for P280 good for 4-5 persons. plus a quick visit at Pink Sisters Chapel Adoration Convent. 10 - 15 persons to avail the package. nice... how much is their price as of this year? Hi! 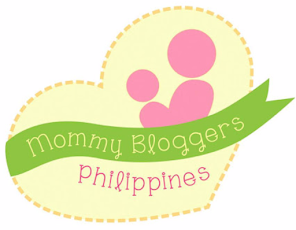 you can try checking on their website: http://zoomanity.com.ph/ or call their Makati Head Office at 898-3695 to inquire about special rates or promo packages. Hi! Ung zipline ba pababa siya ng taal lake and ganu katagal? Sorry for late response. Near the sky Bulalohan is just few minutes away from Residence Inn. And ung zipline takes 2 minutes. Maiksi lng, and hnd sya pababa ng taal lake. Hi! 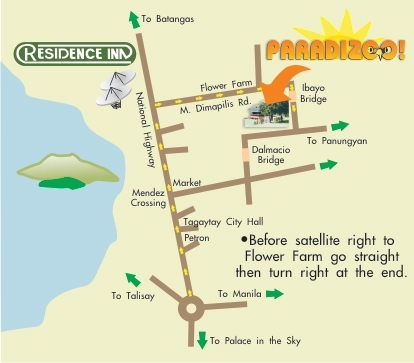 Do you have a package for three days and two nights accomodation sa Paradizoo only? May tents naman po, di ba? 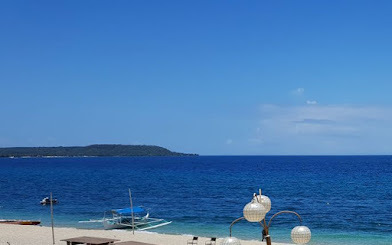 i just want to inquire about ur 1,499.00 GROUP PACKAGE GOD FOR 6 PAX if we want to stay overnight, do you have a promo package w/ overnight stay for group? i hope u can response w/ me as soon as possible coz i want to reserve for dec. 4 & 5, 2012. Waiting for ur prompt response. Thank u! I just hope you've contact them directly, I did mention their number, right? Dun mismo sa residence inn, you can stay overnight. Ok nman mga review. Hi, ano po ang sakayan papunta sa residense inn galing Sampaloc Manila? Salamat. If 2 lang kyo.. 350 each entrance then 400-600 sa fud plus fare. Hi Marjo! Ahmn, I think P250 will be for entrance fees for both paradizoo and res.inn only (zipline & cable car not included). You need to save more for the fare and food, but you can check their website for any discounted offers or group tour packages to cut cost. the prize 1499 is good for 6 persons is that correct? Yes, that's a discounted offer at the time we visited. May i know the present rate ng entranc.kasama n po b dun ang lahat ng pde mkita as in tamang pasyal lng without the rides? Hi, Based on the reviews from TripAdvisor it is no longer worth it to visit Residence Inn. Bakit naman po di na worth it?! May nga reviews akong nakikita maganda pa naman daw. We have visited Paradizoo and Residence Inn zoo before and we also enjoyed our visit. Hindi lang namin natry yung zipline and cable car kasi maulan nung nagpunta kami.